The Spring Data JPA, a sub project of Spring Data is aimed at simplifying repository implementations. Repositories typically provide Create, Read, Update and Delete (CRUD) operations for domain objects. In this blog post, I will show how Spring Data JPA drastically reduces the effort needed to create repositories. Notice that the two domain classes have JPA annotations such as @Table and @Column that map these classes to relational tables. Also notice the Many To One relationship between Address and Person classes. We now start by creating a Spring Data JPA repository for the Person class. 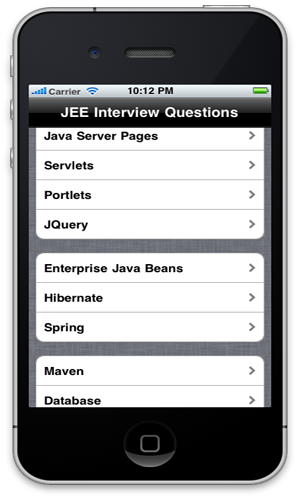 This involves creating a repository interface as shown below. The PersonRepository interface extends the Spring Data JPA’s Repository marker interface and has one finder method. The findOne method follows Spring Data JPA’s naming convention for retrieving an entity using its ID. The entitiyManagerFactory bean uses test-persistence.xml file that has the standard JPA configuration. 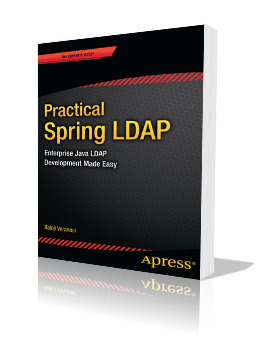 This completes all the setup needed for creating a Spring Data JPA repository. Now let’s create a JUnit test class to test our implementation. Notice that we are simply injecting the PersonRepository implementation into the test. When you run the class, you should see that test has passed and “First Name: Jane” in your console. A new person repository interface that uses CrudRepository is given below. The convention for these finder methods is simply findByMemberName. It is also possible to combine multiple members into one finder method. So, findByLastNameAndFirstName(String lastName, String firstName) will find all persons with the given first name and last name. For cases, where the out of the box repository implementations are not enough, Spring Data JPA makes it easy to provide custom implementations that would still integrate with the generic repository abstraction. To see this in action, let’s implement a custom Address repository. We start with a custom interface that declares the additional functionality. The next step is to create a class that implements the custom functionality. Caused by: java.lang.IllegalArgumentException: Could not create query metamodel for method public abstract java.lang.Long com.inflinx.blog.springdata.repository.AddressRepositoryCustom.someRandomMethod()!